We fell in love with the Chamonix valley and decided to call it home over 18 years ago. 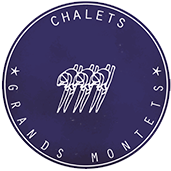 We had been thinking about wanting to leave a mark in this Valley for a few years, but we wished to do so in a respectful manner: that’s how the Chalets Grands Montets project was born. 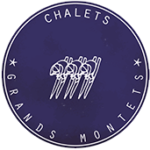 Designed in a family spirit, we have dedicated a chalet in Chamonix to each of our three children: Estelle, Paul and Charlotte. These three mountain chalets are all themed differently according to each of our children’s personalities. “La Ferme d’Estelle” is a typical mountain farmhouse, full of character, for those who enjoy a simple way of life; in “L’Alpage de Paul” you will feel like you are staying in an Alpine pasture chalet at the heart of the Mont Blanc Massif, and at “L’Atelier de Charlotte” you will find yourself in the creative atmosphere of an artist’s workshop. One of our aims in completing this project was to involve local companies and craftsmen from the Haute-Savoie area, who we knew would be intent upon preserving the Savoyard chalet’s traditional construction methods. To bring these new chalets to life, we spent months hunting through antique shops and markets to find beautiful traditional and artistic objects and give them a second life whilst recreating a typical chalet-like atmosphere. 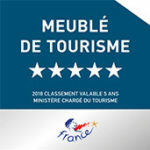 We look forward to welcoming you at the foot of the Grands Montets ski slopes to enjoy a family holiday in the mountains in one of our chalets facing Mont Blanc, classified 5 stars ‘Meublé de Tourisme’. Charming Chalets at the foot of the ski slopes In a peaceful environment and amidst exceptional surroundings, with Mont-Blanc and Aiguille du Midi to one side and the Argentière glacier and Aiguille du Chardonnet to the other, the charming Grands Montets chalets are located at the very foot of the ski slopes (30 meters of the departure) in the Chamonix valley. Right by the fabulous Grands Montets ski area, cross-country skiing slopes and hiking trails, just 10 minutes’ walk away from Argentière village centre, these chalets are ideally located in a privileged setting facing Mont-Blanc. Our chalets in the Chamonix valley can be reached in an hour by car, shared transfer or taxi from Geneva airport.